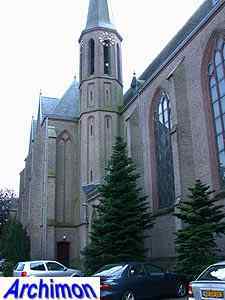 The first church of Losser was the St. Martinus. It is unknown when exactly this church was built, but it was probably between 1200 and 1400. 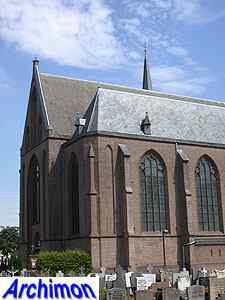 From 1636 until 1810 this church was used by the protestant, then it was returned to the catholics. Because the church had become too small, it was demolished in 1904. Only the tower remains. 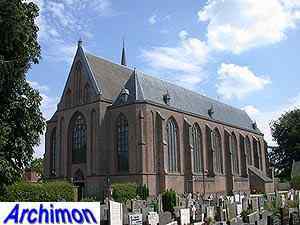 Elsewhere in the village a new church was built, designed by architect Alfred Tepe. In many ways the O.L. 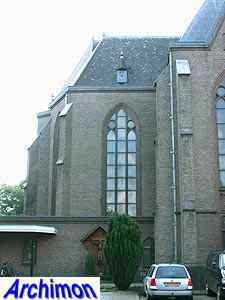 Vrouwekerk is a smaller version of the OLV ten Hemelopneming in Utrecht, which Tepe had built in 1894 and which was demolished in 1972. 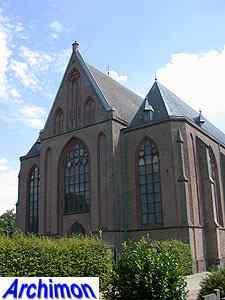 Both are three-aisled hall-churches in neo-Gothic style, built of brick. 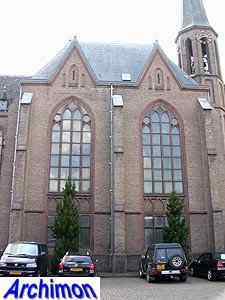 Both have a long nave and side-aisles slightly shorter and narrower than the main aisle. 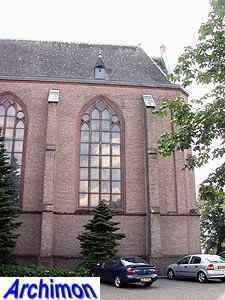 The roofs on the side-aisles are lower than the one on the main aisle, but while the side-aisles in Losser are covered by one single roof each, in Utrecht each trave had a roof of its own. The side-aisles end in lateral chapels flanking the choir. 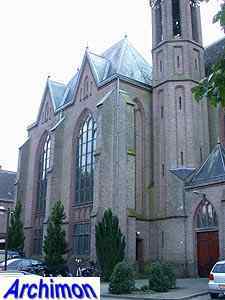 Different are the fronts of the side-aisles; polygonal Utrecht, straight in Losser. On the left side of the nave is a double transept with a polygonal stair-turret. The other side of the nave is straight. 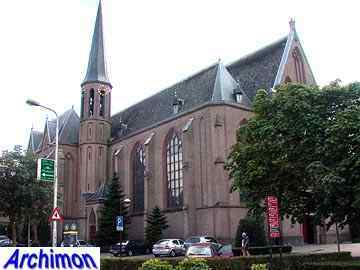 Tepe built at least one more similar church, the St. Jan de Doper in Arnhem, which also dates from 1894. 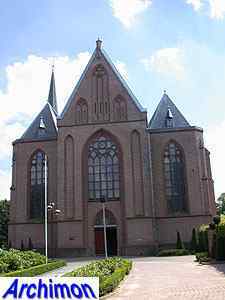 This church, which still exists, is basically similar to the one in Losser, except for the polygonal fronts of the side-aisles and the transept being on the other side of the nave.